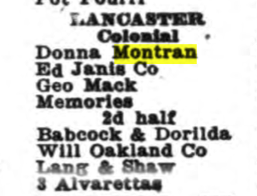 By April of 1919 Donna had relocated from Boston, MA to New York. 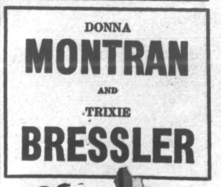 She and Trixie Bressler took out an ad in Variety. Trixie had, in 1918, led Max Roger’s Review at Perry’s in Brooklyn and was one of the “Four Chicks” in a 1917 that traveled through the east. 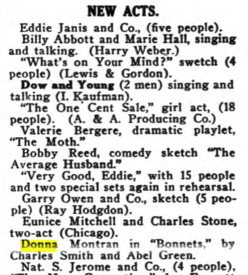 In August, 1919, Donna found work in a vaudeville show “Bonnets” by Charles Smith and Abel Green. Abel Green also worked as a cub reporter for Variety in 1919. Abel continued with Variety for many years and became the editor in 1935. He was editor of Variety until his death in 1973. Able was one of the great driving forces of Variety for nearly 40 years. According to Sime’s Site, there are a myriad stories about Abel Green, about how he knew everybody who was anyone in show business. It is certain that he knew Donna from his early days when he was only 19 years old. Charles Smith and Donna were probably “very close.” They show up living in the same household in the 1920 census. The 1920 census shows Sarah (Blackhurst) Barber as head of household living with granddaughter Madonna Montram [sic] and Charles Smith as a “Boarder.” You may notice that Madonna is reported to be only 23 years old, when she is actually 27. 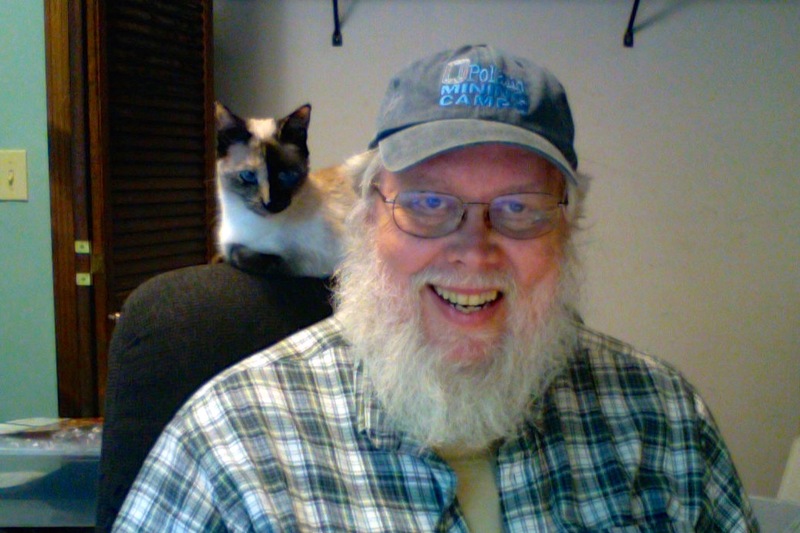 This is the first of many times we see her age progression slow down. From Variety we know that she is playing at the Colonial Theater in Lancaster on September 15th. However, Variety doesn’t tell us what show she was in. Presumably it was still “Bonnets” but her next show will be a huge break for her. 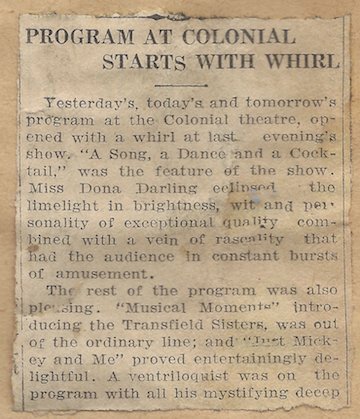 The Colonial Theater was quite new at the time Donna played there. 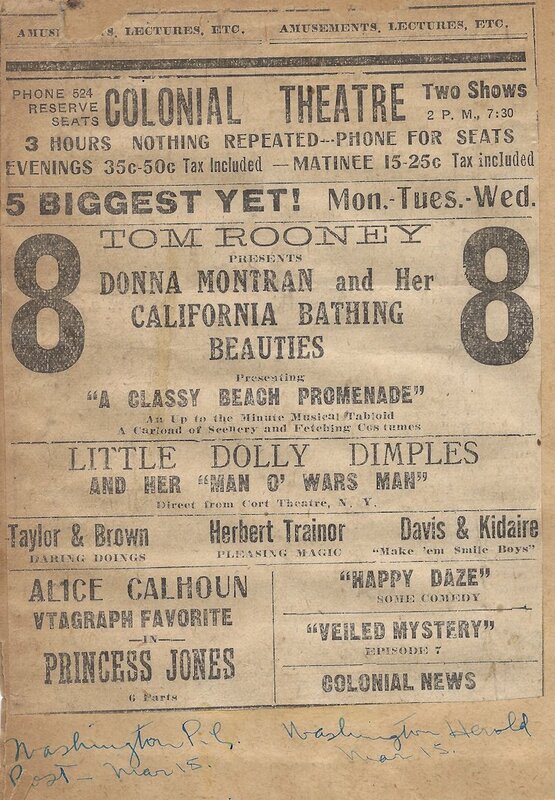 According to Cinema Treasures, The Colonial Theatre, which seated 1,250 people, was open in 1914. It was later acquired by Boyd Theatres and was renamed the Boyd Theatre. 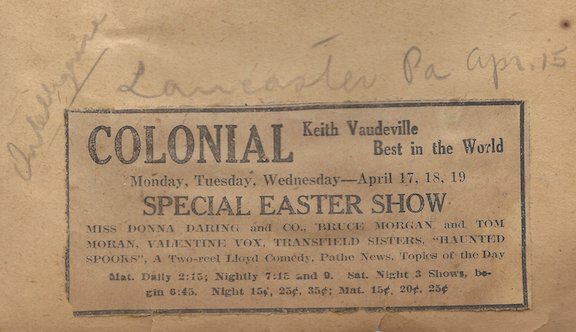 Lancaster newspaper for 15 Sep 1919 – See what is playing at the Colonial Theater. Abel Green wrote several books including Inside Stuff on Popular Songs (1927), Show Biz, From Vaude to Video (1951), and The Spice of Variety (1952). It will be interesting to research them and see if any of them have material on Donna, Charles Smith, or “Bonnets”.